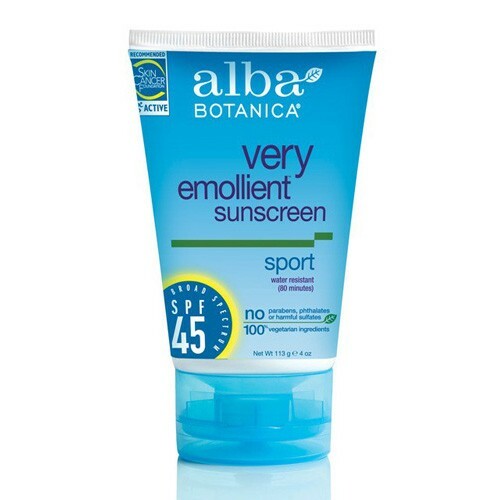 This very emollient and botanically moisturizing sunscreen provides broad spectrum UVA/UVB protection as defined by the FDA. Made with preferred sunscreen ingredients, it is very water resistant (80 minutes), paraben free and fragrance free for rugged outdoor fun. Powerful antioxidant rich Green Tea, Grape Seed Oil and Vitamin E nourish skin while Aloe Vera, Lavender and Chamomile moisturize and smooth. Recommended by the Skin Cancer Foundation.